Youngest member of the instructor team, Riccardo Pozzobon, firmly believes that learning to look at other planets needs to start by looking at Earth. 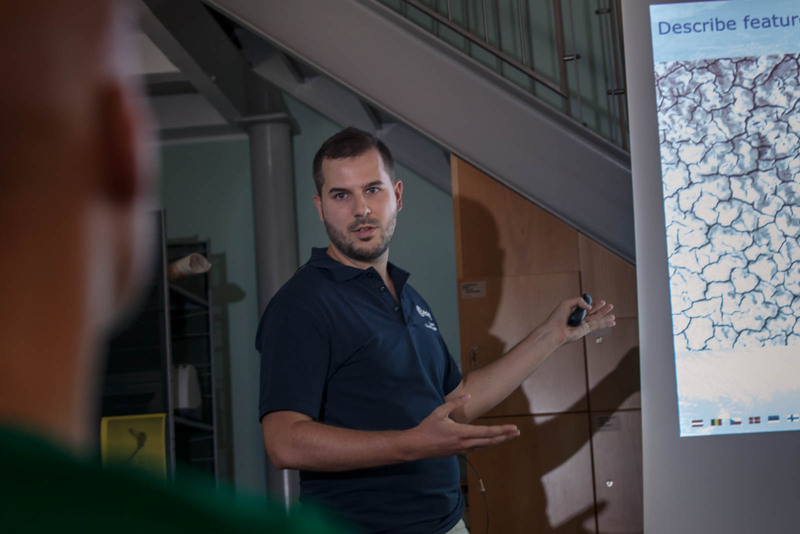 Riccardo started collaborating with ESA’s Pangaea training course with a fresh PhD in planetary geology. His thesis focused on volcanic and fluid activity on Mars, and nowadays he is an associate scientist of several imaging systems mounted on ESA spacecraft, such as ExoMars and JUICE. He teaches what he calls “geology from above”, using orbital images to recognise structures of the worlds below with an eye on efficiency and operations. “To deliver and retain a huge volume of brand new information in just a few days is a real challenge,” he adds. Learning techniques to observe geological features is not too different from learning the words of a new language. Riccardo helps astronauts read different geological stories from satellite images. This covers the very basics of image recognition and the geological processes on other bodies. The type and scale of rocks detected from orbit could be crucial when choosing a landing site, both in terms of safety and scientific return. Riccardo has a few tricks up his sleeve. “I also explain how to avoid misinterpreting optical illusions created by light sources on the same scene, and what are the limits of image analysis,” he says. This is where digital terrain models and maps come in handy. Choosing the right path of exploration can come down to the images. “I explain how scientists use images taken from rovers to derive scientific information and to plan traverses,” he says. 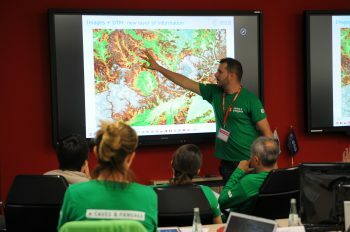 In addition to this, he is in charge of the training material, from charts to maps and drawings. 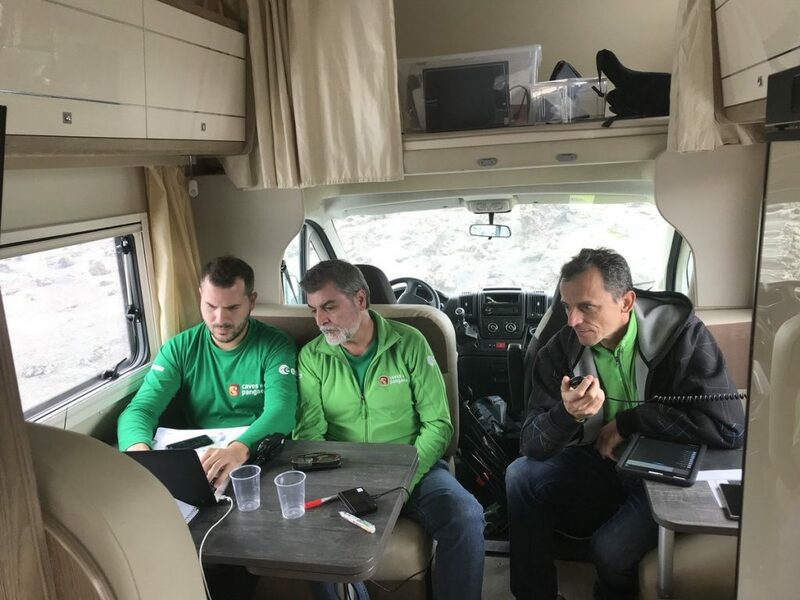 Riccardo is especially looking forward to the expedition in Lanzarote, Spain, which will take place from 11 to 16 November. Here, he will help the scientists on site to collect and process information provided by the trainees. “It is extremely exciting. The trained crew will be on the ground taking samples autonomously in a real traverse, with limited time, carrying portable instruments for analysis and in constant communication with the ground team. “We are building up a geological language that allows the crew to efficiently communicate their observations to scientists. The issues and scientific questions they will have to deal with during the traverses are real, and so is the scientific outcome from samples and observations. “Pangaea makes me grow as a scientist and as a person. The level of cooperation and synergy we have between scientists, engineers, the support and logistics teams is truly remarkable. We are already simulating the dynamics of real exploration missions on the Moon or Mars,” he concludes.